It’s a shame we all weren’t raised in Europe, as we’d have a greater appreciation for tiny refrigerators, be polyglots, and all be able to recite the history of Alfa Romeo. Founded as A.L.F.A. (Anonima Lombarda Fabbrica Automobili) in 1910, Alfa Romeo started racing cars the following year, and almost everyone, minus cave dwellers, knows that Enzo Ferrari raced for Alfa from 1929 to 1938, when a split with the factory led him his own way. In WW ll, we justifiably bombed the hell out of the Alfa factories as they were turning out fairly good engines for Axis fighter planes. I like to think clearing all that post-war rubble made them mad enough to get back at us by producing nimble little sporting machines that would rock the world, especially with the 1900 series. Most 1900’s were 4 door models but a special few were built as Super Sprints, clad with beautiful 2 door bodies, and especially attractive were the 1900 Super Spring Coupes like this one built by Touring. Along with Tourings’ patented “Superleggera” or super light construction that knocked a couple of hundred pounds off the normal 1900, the SSC was fitted with twin downdraft Solex carburetors, a floor mounted 5-speed manual transmission, massive finned brakes, and on this particular car, beautiful Borrani wire wheels. This car screams “Italian”, louder than its small size seems capable. 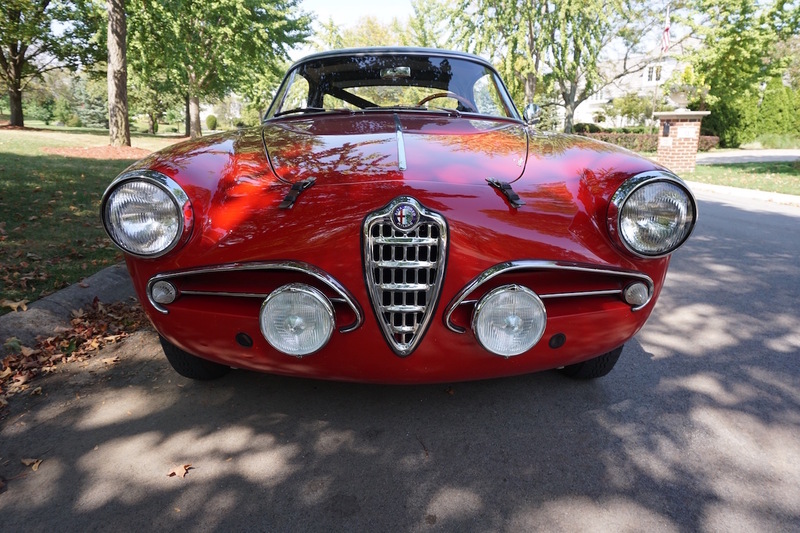 From the Alfa logo (see below) on the nose, to the single exhaust tip, the two-toned body colors make this 1900 strikingly attractive. 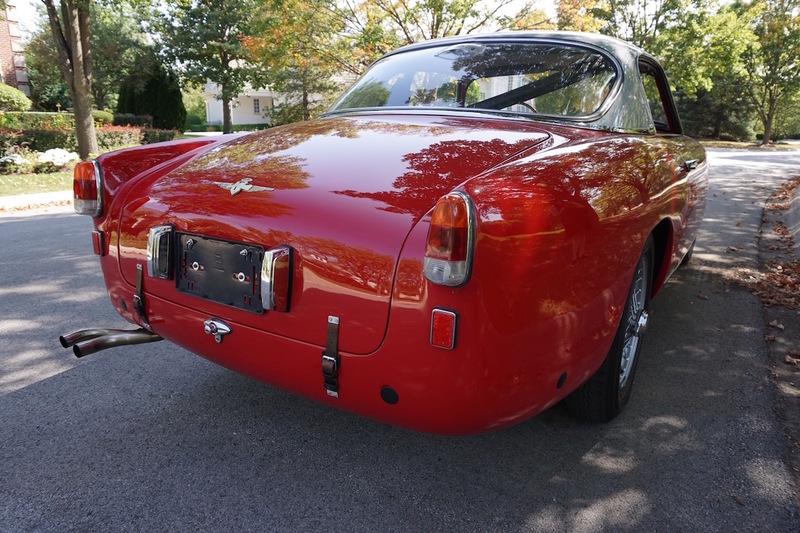 The Alfa 1900CSS is a special car, designed to justify the reality that every corner isn’t 90 degrees and every road doesn’t run flat. Slide inside and the bodywork comes with you, as the hood seems to flow into the dash, seemingly separated from the exterior by only the windshield. Twist the key, and let the fuel pump load the carbs, a twist to the right, stab at the gas pedal, and the raspy little in line 4 comes to life. OK, 120 HP might not seem like a lot, but in 1957, this car was killing the competition. Feather the clutch, and first moves you out quickly. 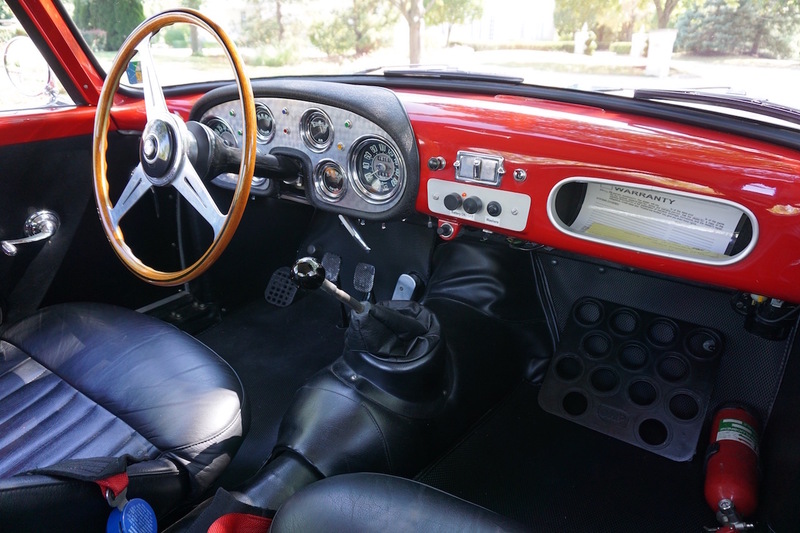 A bit of body roll in the corners reminds you that this car is from a different era, but that’s all part of the fun in this blistering little bit of history, as gear changes and the rapid movement of the tach, combine for an few hours of bliss. 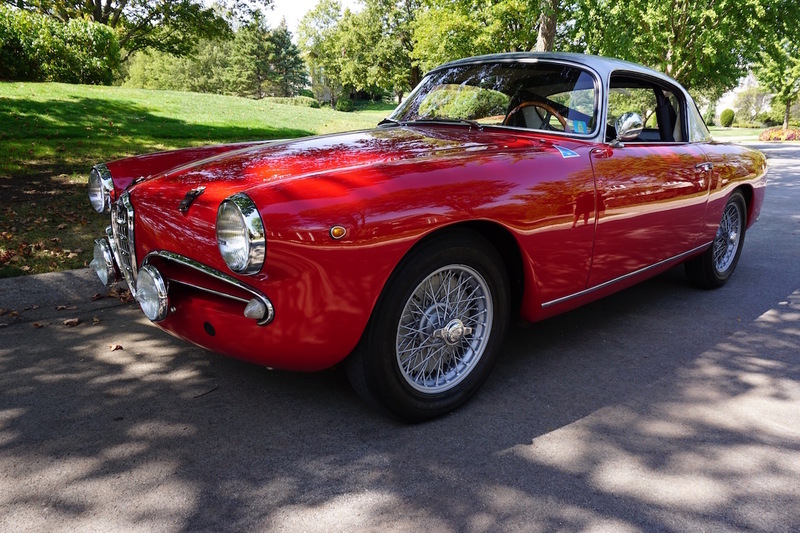 Perhaps Mille Miglia eligible, this Alfa Romeo 1900CSS will be warmly welcomed at concours and rallies worldwide. Alfa’s logo is actually a mishmash of two symbols; first the red cross of Milan, Alfa’s birthplace, and second, a crowned serpent eating a man, representing the House of Visconti, rulers of Milan, back in the 14th century, a time when snakes, I guess, were considerably larger.